This bronze skull sculpture is a faux metal statue with the look of a heavy, bronze bust. 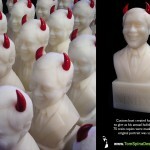 It’s a actually made from lightweight resin and foam. 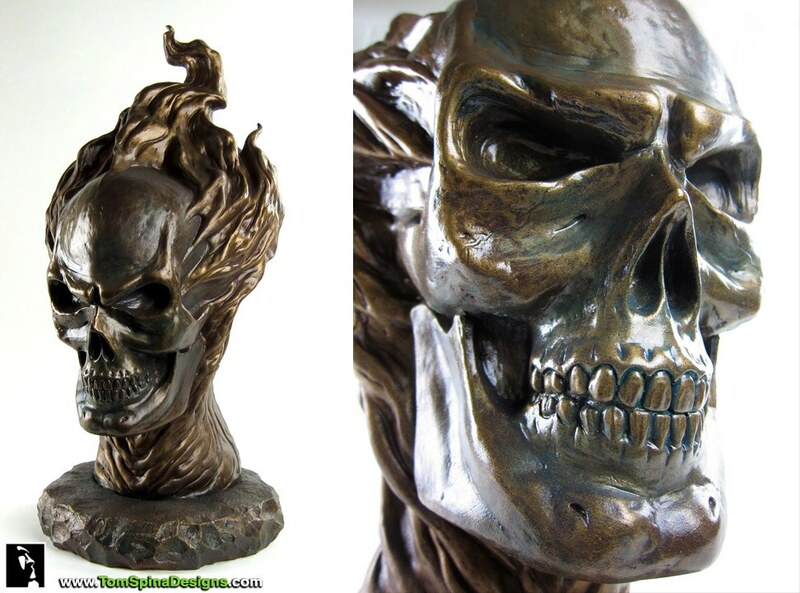 Sculptor Robb DeNicola created the bust in clay, originally to be painted realistically and to complete a custom mannequin for the display of an original Ghost Rider movie costume. 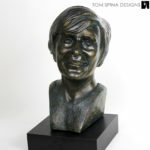 While we had the mold, we decided to finish a copy up to showcase our realistic faux bronze finishing. The bust was created in clay, molded in silicone rubber with a rigid shell mother-mold, then cast in a plastic resin & filled with a dense foam. The result is light weight, but with a very convincing look. 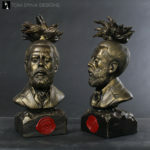 We carved the base from foam and then hand treated the whole bust with a faux bronze paint finish with patina accents. While this particular piece wasn’t offered for sale, it’s a great example of the type of finishes we can create. 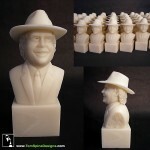 Are you looking for a unique custom statue or bust?